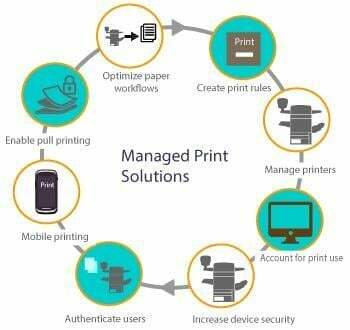 With managed print services (MPS), you can gain visibility and control of your entire document environment. This goes way beyond reducing printing and paper usage. Just as your business is always evolving, managed print services and managed document services continue to evolve to help organisations meet the information challenges of today and tomorrow. Although overall print volumes are down, the widespread use of tablets and smart phones has created additional complexity in the print environment. IT organisations need a strategy to provide access to print from mobile devices without compromising security.